Authentic Nemea, from a winemaker who has devoted his life to it. Rich red wine with beautiful fragrant interference from the oak barrel. Balanced, with good acidity and gentle tannins. 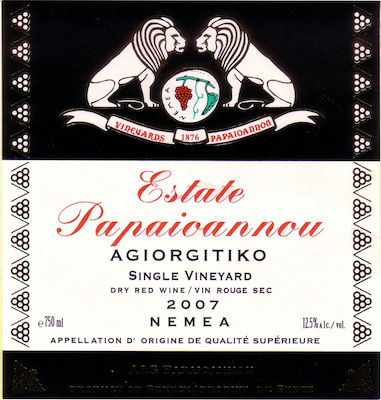 This single-vineyard Agiorgitiko has an earthy olive nose and smooth, integrated flavors of red berry, herbs and spice. Soft but structured tannins and a spin of spice on the finish recommend it for heartier dishes, but it’s good enough to savor on its own. Elegant, but with some muscle.